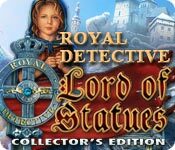 Royal Detective: The Lord of Statues Collector's Edition is rated 4.7 out of 5 by 275. Rated 5 out of 5 by Majestyx12 from Old Fun on Windows 10 I think this worked better on windows 10 than the one after it-Queen of Shadows. I found this game fun and entertaining. 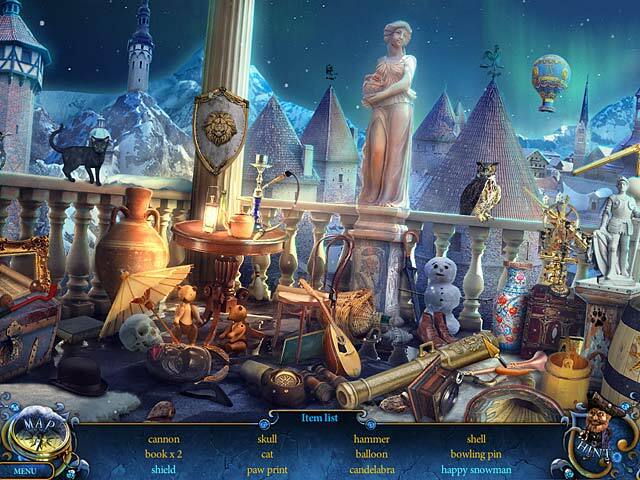 I like the traditional Hidden Objects Games and this has plenty of them. I think the statues are fun and the rooster funny. The map works really well. I'm glad I bought it. 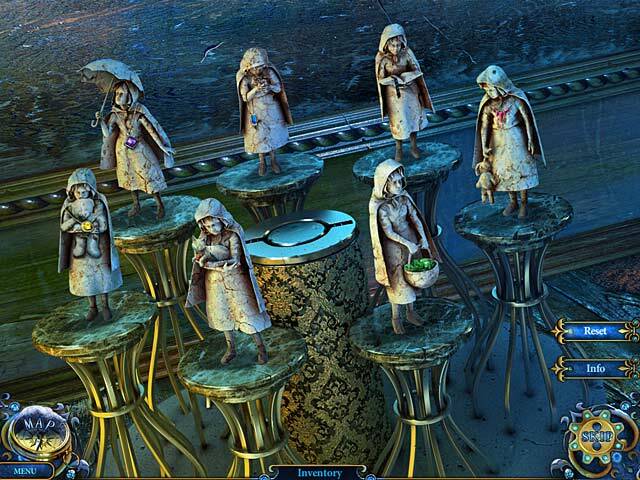 Rated 5 out of 5 by hummingbirdbird from Royal Detective: The Lord of Statues This was an exellent game, as are most of Big Fish Games It was a challenging game. And the story line was awesome. Rated 5 out of 5 by arnold1049 from GOOD GAME IN A GOOD SERIES With 266 reviews and counting, there isn't much I can add to everything that has already been said about this game. This is a great game with all the right things expected in a CE. I played the casual mode and did not need any hints in the HOS. I did skip a couple of the puzzles, though, which kept me from winning one of the achievements. Either that, or I used a hint outside the HOS instead of using the strategy guide to find my way. I found all the collectibles fairly easily, but I did use the strategy guide to make sure I didn't miss any. A good, enjoyable. game. Rated 5 out of 5 by AforAllie from Awesome Game This game has everything. Great story, gorgeous scenery. The statues are great. Rated 5 out of 5 by Bossy704 from So Much Fun I loved the statues and their "lord". This game was really original and I'm usually critical of dark games but this one is a winner. I will admit it isn't particularly challenging but I am not a fan of super hard games. This one has a better storyline than the sequel though both are superb. Rated 5 out of 5 by JustTheFacts from Game In Brief***** + Bonus Content Review **** BASED ON COMPLETED GAME Last count, 262 people had posted their reviews for this game on Big Fish. So there really can’t be anything left to tell you that you haven’t heard before. Here are the high points for me about one of my top ten favourites of all time: *Exciting and breathtaking videos, full of spectacle, sound and activity. *Excellent graphics and sound track. Especially the ‘chimes’ music. *Delightful animations of unusual assistants and impressive bad guys. *Interesting and different story with hidden complexities. *Choose your own ending! My only complaints are with a draggy cursor (okay with system one but not as much fun), and an inventory panel that is not lockable. BONUS CONTENT REVIEW **** BONUS CHAPTER The main game ends satisfactorily. The bonus chapter carries on easily with either ending, and is not at all needed for either. This bonus was disappointing. 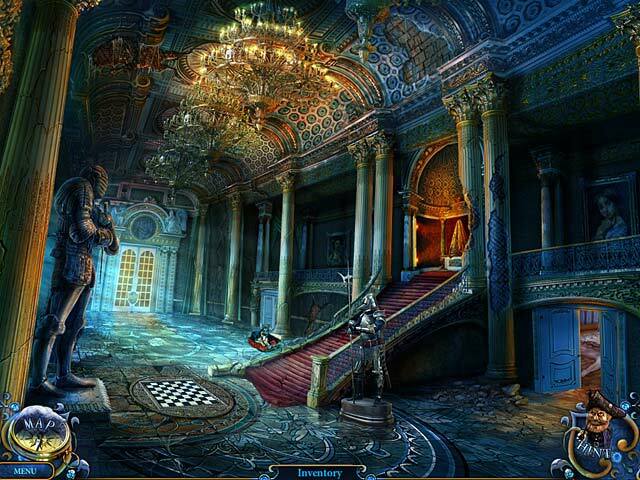 After such a brilliant game, the chapter has only 1 old location and 4 new ones, 4 new HOPs and 4 new puzzles. It took me only 30 mins to complete, and even allowing that I skipped 2 puzzles, I only did so way after the skip became available. The story was a total nothing. Achievements did not continue through this chapter. GALLERY ITEMS I love Elephant’s wallpapers because they are actually designed, not just glorified screen shots. You get the necessary room on either side to have a couple of icons! The concept art is nice too, and you can save it. As well, there are replayable videos and music. . ACHIEVEMENTS & COLLECTIBLES There are 10 achievements, 5 story related, 5 accomplishments (some of these have levels). There are also collectibles, with their own ‘show case’. These are the 26 miniatures of various characters in this game and from other Elephant games. Excellent fun, each different. (And if you find you’re unable to close a close up screen, look for one there.) FAMOUS LAST WORDS Brilliant game, the other bonus content makes up for the offending bonus chapter, I’m thrilled to own this game. Rated 5 out of 5 by erica0171 from Great adventure game I loved this game. I wish my computer was better so I could have played it in full graphics but the little I had was great. It also had just enough puzzle mixture. I hope they come out with part 2.